The current century we are in, is an age of change and transformation. Change in a positive meaning is the first step of developing, with a transformation of a forward looking face through creativity, notion and values. Today, Contemporary culture, Contemporary art, s Contemporary society and of course Contemporary mankind is mentioned with different discourses and different values. 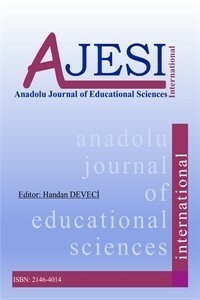 As a result of all of the transformation related to contemporary culture, art and society transformation in this paper focuses on key points related to critical reactions; dead end to criticism, social upheaval and consumption frenzy, culture and education policy, the reflection of change on the art education and aim limits in art and culture education. Berger, M., (1998) The crisis of criticism ,Ed. : Maurice Berger, The New Press New York. Ergun,D.,(1991) Türk bireyi kuramına giriş; Türk kültürünün olanakları, Gerçek Yayınevi. Lash, S-Urry, J. (1994) Economics of sign and space. In Paul Duncum Visual Culture: Developments, Definitions, and Directions for Art Education, Studies in Art Education 42(2), 101-111. Uygur, N.,(2003) Kültür kuramı, YKY İstanbul.